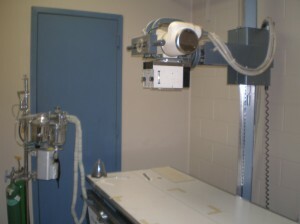 Clay-Chalkville Animal Clinic has digital radiology (x-ray) and ultrasound capabilities on site. This equipment gives us the ability to accurately diagnose many diseases in your pet. Our team can also use this equipment to confirm pregnancy and, in late pregnancy, give an accurate puppy count. If you have any questions about our radiology services, please feel free to contact one of our team members.